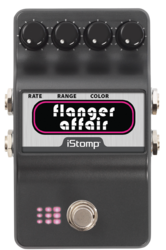 Modeled after vintage analog flangers, the Flanger Affair offers the classic Chorus/Flanger sound so recognizable on 70's and 80's recordings. 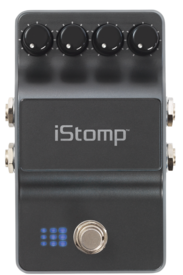 Popular with artists from Andy Summers to Alex Lifeson, its flexible Color, Range, and Rate controls make it a versatile effect for many music styles. 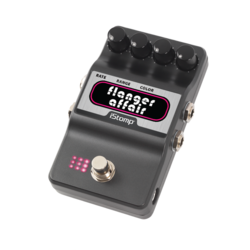 RATE - Controls the speed of the flanger sweep. RANGE - Controls the depth of the flanger effect. 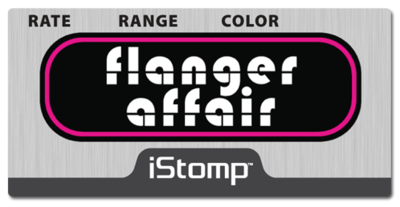 COLOR - Controls the regeneration (feedback) in the effect.